20% reduction August 31- September 13, 2019 ONLY! We had a cancellation for August 31 - September 13 and are offering 20% incentive on mid-season price. 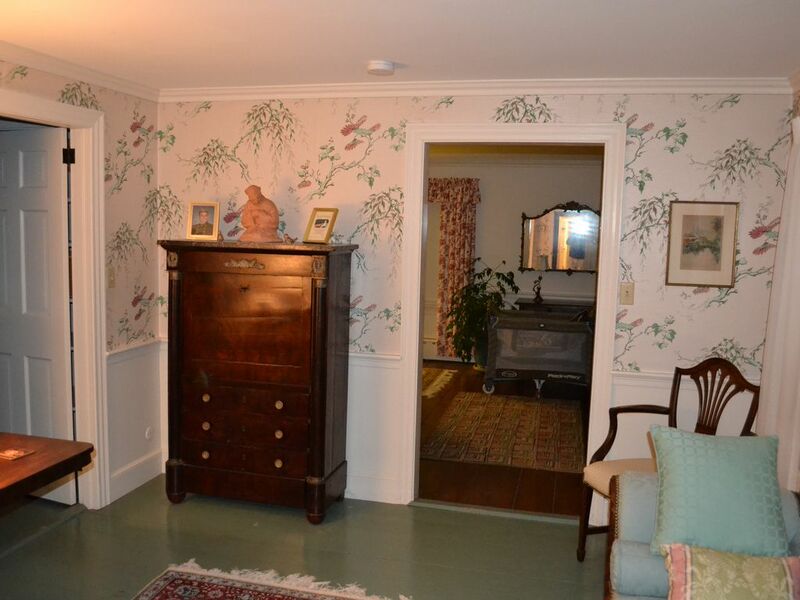 200+ photo gallery of this exquisitely furnished Cape Cod home is available upon e-mail request. This .9+ acre property is located on the Ocean side of Shore Road - with an easy walk to 4 of Chatham's swimming beaches, Fish Pier, Lighthouse Beach, Town center, outdoor band concerts, and fine restaurants. Located just minutes walk from The Chatham Bars Inn, golf and tennis facilities. Deeded rights to to the Ocean via private path. This Non-Smoking home features a huge backyard with organic vegetable and flower gardens. Includes garage, workshop, and kid's 'outback' bedroom/shower adjacent to garage structure. Well equipped and well maintained - many extras. Beds include one queen, three twin sets, and one sleeper sofa. Must have strong references. One of the very best locations in Chatham - between Shore Road and the Ocean. This well-maintained, well equipped home rents easily in summer. Owner can provide excellent references. Private, secure, and quiet location. Close to everything. Maintained far above typical rental. We are one home off the ocean with rights to the Atlantic via our path. We have nearly an acre cared for by lawn and garden organic experts. Xfinity Cable HDTV, Wireless High Speed Internet, CD and DVD Player, Digital Recorder, Amazon and Netflix subscriptions, Linens, Basement, Organic Vegetable Garden, Coolers, Beach Towels, Outdoor shower, Beach Chairs, Huge Back Yard, Kids 'Outback' Bedroom adjacent to garage structure, Facsimile, Well equipped Kitchen. Deeded rights to Ocean via private path. Extraordinary house in Cape Cod's most beautiful town. This house exceeded all of our expectations. Beautifully furnished. Immaculately clean. Everything provided. An absolutely beautiful garden. Walk to beaches, restaurants, and the center of the charming village. Highly recommended. We had a wonderful trip and loved the charm of the house. It was in a fantastic location and we would certainly go back. The Briggs House could not have been better for our trip. The location was perfect for traveling up and down the Cape to our destinations, easy access and convenient. The house had everything we needed as far as amenities go, was very spacious for 6 adults and 3 kids. The scenery was incredible, immaculate garden and the huge yard made our trip, with the kids and adults. Close access to Chatham's amazing restaurants and several area beaches. Could go on and on, but to sum it up, an absolutely PERFECT place to celebrate our anniversaries!! Whale Watching, ferry to Nantucket & Martha's Vineyard, Chatham Band Concerts, Live Theater, Cinema, Fish Pier, 4 swimming beaches including Lighthouse Beach, Chatham A's Baseball, Town and fine restaurants, and close to nearby Chatham Bars Inn.